taste: 4/5. Best way to get zucchini into the husband. 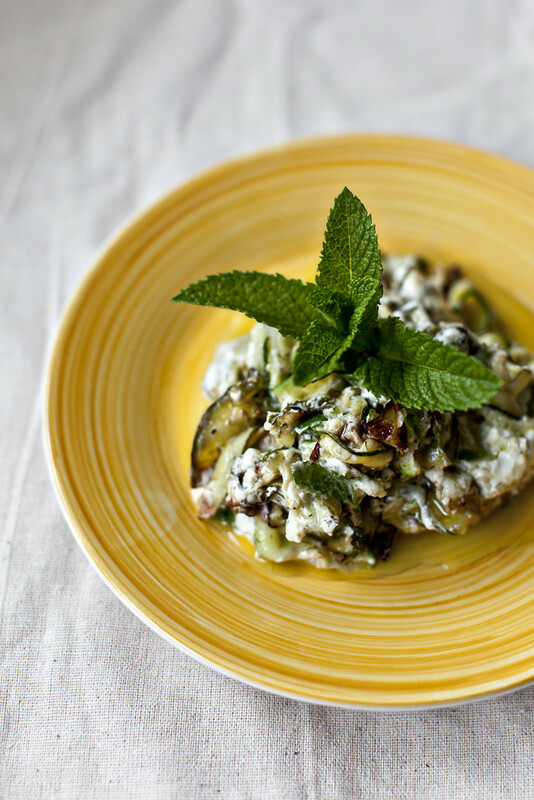 The zucchini in this dish is a mere whisper on a breeze, so even those who object to its subtle taste should find no reason to grumble here. The creamy goat's cheese offers tangy-ness to the sweetness of the garlic, coolness of the mint and grassy anise of the dill. Hubby actually requests this side dish. If you'd like some crunch I recommend adding toasted pine nuts. would I make it again: Yes. This looks so amazing!!! I really love the combination of flavours, so fresh and healthy. Congratulations on your new laptop. How sweet of your husband to surprise you. So pleased you have a new laptop....I'm jealous! Love the idea of mint in there with the goat cheese. Looks great! How amazing are upgrades involving laptops - I'm so pleased life will be easier for you (meaning for mosts for us! hehe). 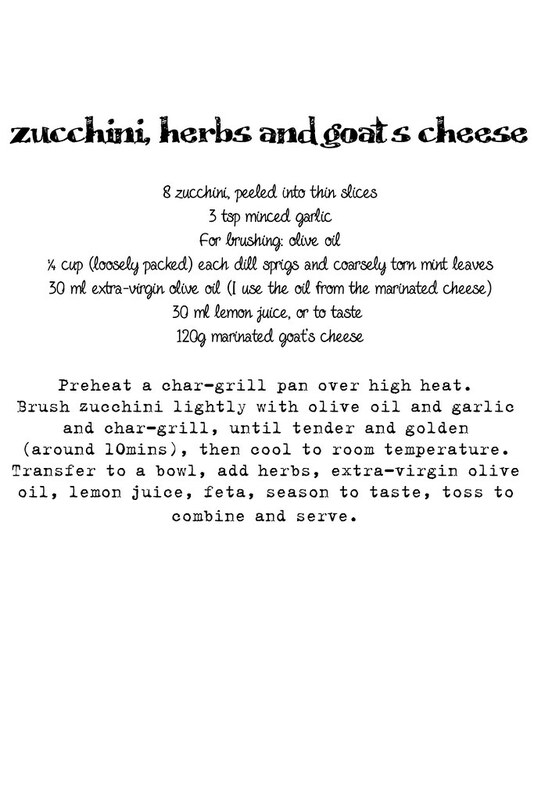 I adore zucchini and goats cheese. Beautiful side dish. I'd love this atop of some linguini too mmmm. Just discovering your blog! It is beautiful and so is your little daughter - congratulations! Delish Dinners is on Instagram!